Students never stop amazing me with how quickly they adopt and put into practice new tools. We have been using Google Apps for Education since late October and each day I see students being successful with this new tool for OLD uses but also now using them for NEW uses. Patti Donnelly’s English class is using a Google Doc as a Thinking Board to discuss how they could collaborate throughout the school using technology. I will share with you some of the writing, understanding this is a LIVE private document that as I write this post, students are adding their ideas and thoughts. I asked permission to share some of their content and was granted it. The image above was created by the students in the Google Doc. 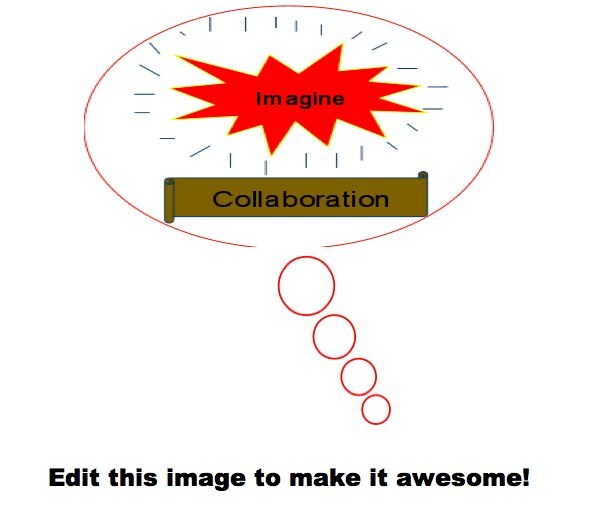 Like Mrs. Donnelly was saying during LA, what if we could collaborate throughout the school technologically? We start small, then inspire the city, which leads to the country, then the continent, then the world. DA has almost all the tools necessary, iTouchs, laptops, and now with access to Google Docs, we could easily be socially involved with the upper and lower schools. The problem is will we. Mrs. Donnelly, I think you’re right; if we have the tools, why not try it-the worst that could happen is that it doesn’t work, but who cares, at least we tried. If we start, it can and probably will cause a chain reaction, which means the world will be able to connect wherever and whenever via Internet or maybe a worldwide software. This global change may not happen in our lifetime, but if it works, it could cause a whole planet to connect and communicate with technology. Also, the global connection could be used for not just business or school, but also helping end world hunger, or pollution, or stopping war. Imagine how much better this world would be without that stuff. But you can’t know what’s happening in the world if you can’t communicate. Families could have more time together, because they wouldn’t have to hunt down information about the world. Learning would be upgraded and fun, and the world would be happy. If we want a change in the world, we should start now, and I think it could start at DA. Student Collin: Guys, what Cyrus says make a lot of sense. This would be the ideal situation but, this may not happen because it is too big. We should try and express our opions here because if we do then people who look at this will look deeper and catch on. Teacher Donnelly: Cyrus, this is so powerful! What do others think? Just brainstorm ideas….what comes to mind? I agree with Cyrus, It makes a lot of sense but this might be hard to get out to everyone. We can have technology in every room, which means there would be quicker access to information. Kids also get more excited with technology in the room, which means they will be more excited about learning, and like the video said, school is kinda boring right now, which is why more and more people are dropping out. You’d think advancement in technology would be good for schools, but hardly any schools have used it to an immense advantage. Technology also gets students more involved because they’re not jut listening to a teacher talk. Mrs. Donnelly is introducing iTouchs and laptops to us, except we use them for school, not surfing the web. DA can definitely take a huge step towards the world of technology if we try. Student Collin: This makes sense but we need to really stretch this out. If we want to pull this outside of our classroom we need to build it into a large essay type thing. Then we can pull it outside and place it inside the real world for everyone to see and then press it into this. Student Cyrus: I think we could make something like the video or maybe an essay and post it on youtube. Mr. Schaefer’s blog is going to help with the publicity, too. Think, is it the way you learn or is it or the things you use to learn. The answer is not that technology is the answer, it is how we use it. We have the tools we have all we need, we just need to use it to our liking. We have the goods we just need to use them. If you do not enjoy using the technology you can go to another side of campus. Or if you enjoy working with sound you can go to certain classes or go to a different moodle course or something along those lines. Student Collin: Guys, What if we build advanced moodle course that recognizes advanced students and give them challenges that the teachers will allow them to do in class. For example. The 6th grade course would have different sections that are password protected so that the teachers could give the password to the best of students. Then when there is review or something that is stupidly simple for that student so they do added work for tons of extra credit and other incentives. Student Cyrus: People should take a test to see which part of the school they belong in. The moving learners can be interactive and play games or something that helps them learn well. The visual learners can look at diagrams or charts to help them learn, and the auditory learners can listen to the teacher explain about the material. If this doesn’t work, we could just have different types of schools. I still think technology should be used more in schools, though. What a great time to be a teacher with the tools we have today.